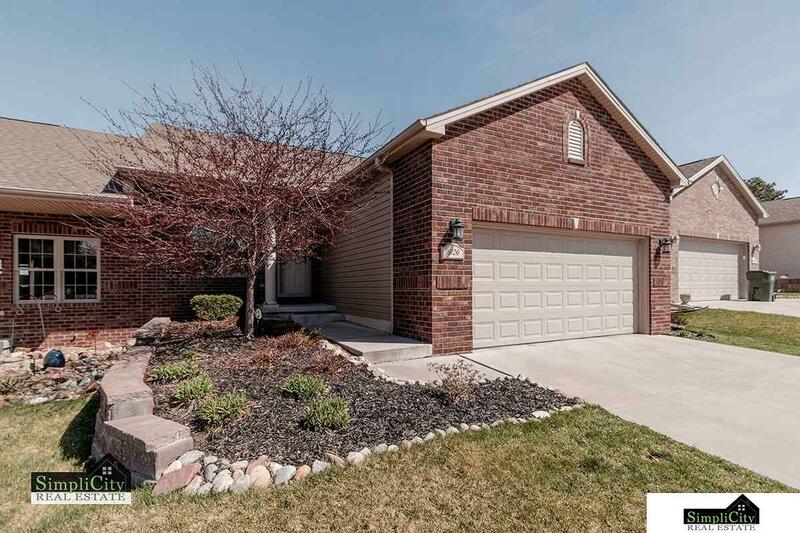 Beautiful 3 bedroom, 3 bath area townhome in NE Lincoln with over 2200 finished sq ft! Step inside and notice the tall vaulted ceilings that carry over into the spacious kitchen. Stainless steel appliances (all stay), beautiful dark cabinets with tons of storage, granite counters with an undermount sink, tiled flooring, pantry, etc....make up this luxurious kitchen. Down the hall you will find a large master bedroom with HUGE walk-in closet, master bathroom with dual sinks, and a newer deck off the master bedroom. Wake up and step outside to have your morning coffee or just relax on your own private deck. Another bedroom, full bathroom, and conveniently located first floor laundry area complete the main level. Head downstairs to the large finished basement complete with a spacious living room and wet bar. The wet bar has granite countertops as well. The basement also consists of a HUGE bedroom with walk-in closet, bathroom, and storage room. *BONUS* Off the kitchen is a covered porch!